It’s almost the weekend and that means another ‘Time Out’. 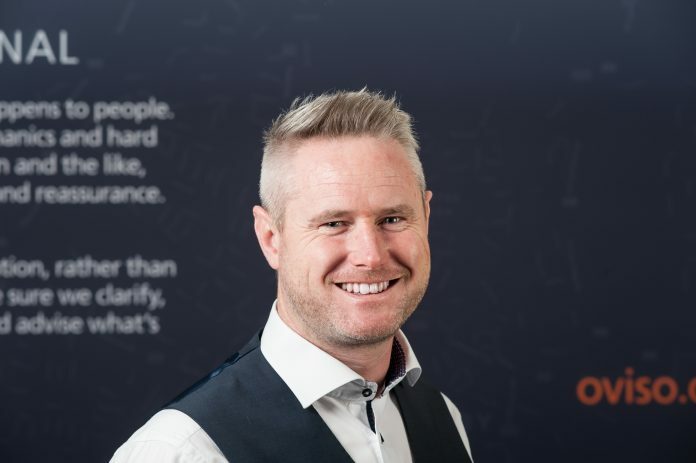 This week’s questions are answered by Lee Mortimer, Managing Director of Oviso in Derby. I go to the Talbot pub on a Friday night straight from work and meet my golf pals. I then spend most weekends ferrying my son Ollie to Burton games as he’s in their academy, playing golf and spending time with family and friends. That’s after swimming and karate with my other son, Zack! I love playing golf and six-a-side football at Hilton with my group of friends. Pulp Fiction – Tarantino’s best! If you hadn’t been successful at what you where would you be? I would still be behind the counter working at Royal Bank of Scotland. Breaking out to set up a new company was the best thing I have ever done. To teleport from one place to another – it would come in particularly handy at the weekends when it seems I need to be in more than one place at the same time! House music – that what I used to bop to! This one is easy – the 1966 World Cup final at the original Wembley Stadium, England v West Germany. Feeling the atmosphere as Bobby Moore raised the trophy and was then watch as he’s carried shoulder high around the stadium. Come on England.